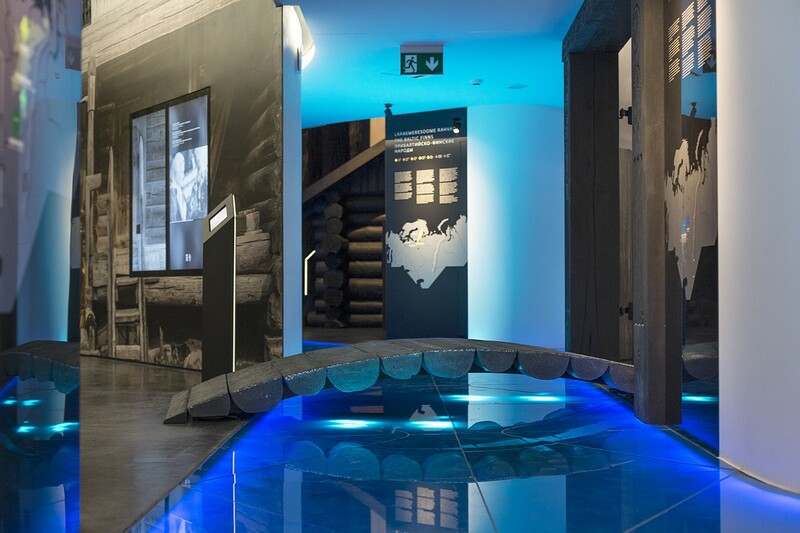 In October 2016, the new building of the Estonian National Museum opened in Tartu, dedicated to telling the story of Estonians and other Finno-Ugric peoples. 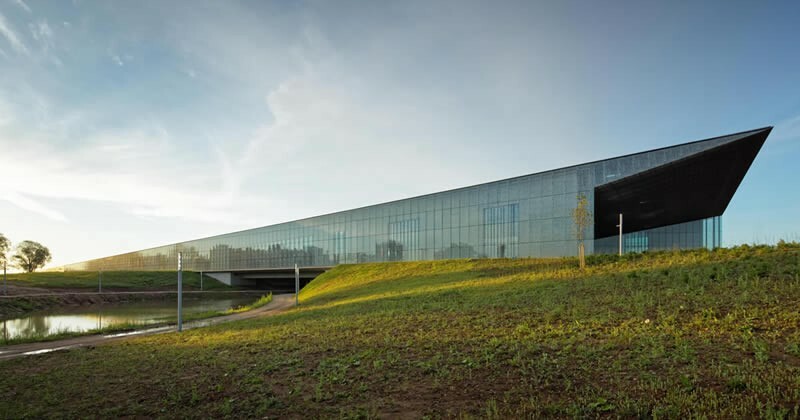 The building stands on the end of an old Soviet runway and arches over tiny lakes — an unusual setting, but “the Estonian National Museum is not a usual sort of institution. 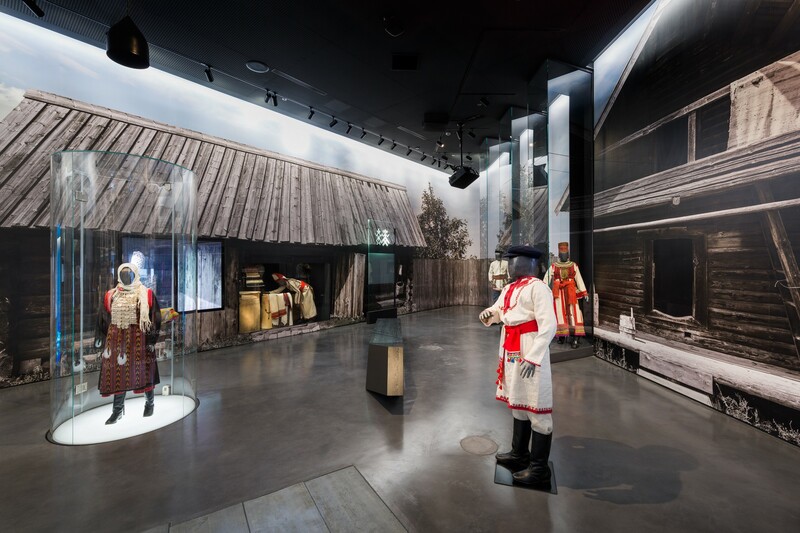 Its past is wrapped up with that of the country itself.” For the museum to get its own purpose-designed building was a nearly 100-year dream in Estonia. Built on the edge of the second-biggest city in the country, the museum building is strongly inspired by the abandoned airfield dominating the location. Called ‘Memory Field’, the project, designed by Paris-based architecture office Dorell.Ghotmeh.Tane Architects has already gained a lot of international attention in architecture media and won a number of architecture awards. 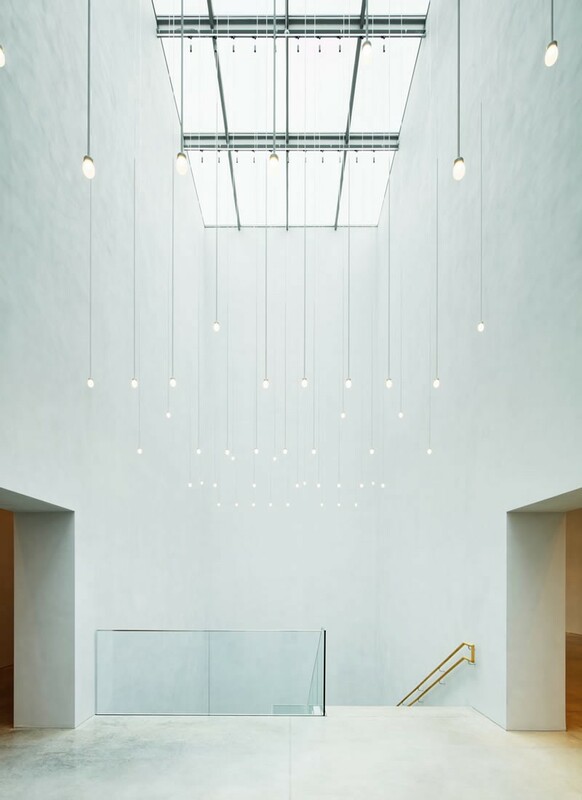 The new Estonian National Museum. Dorell.Ghotmeh.Tane Architects. There are two main permanent exhibitions. “Echo of the Urals” is focused on introducing the culture and languages of the people in the Northern Finno-Ugric language groups. 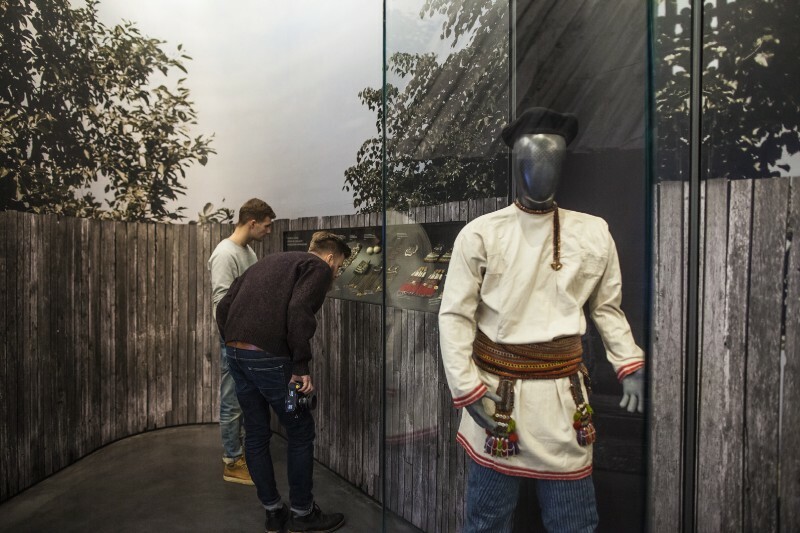 The other permanent exhibition –“Encounters”– is a layered walk through the most important moments and achievements in the history of Estonia. The museum building. Dorell.Ghotmeh.Tane Architects. The Uralic language tree. What does a language sound like? 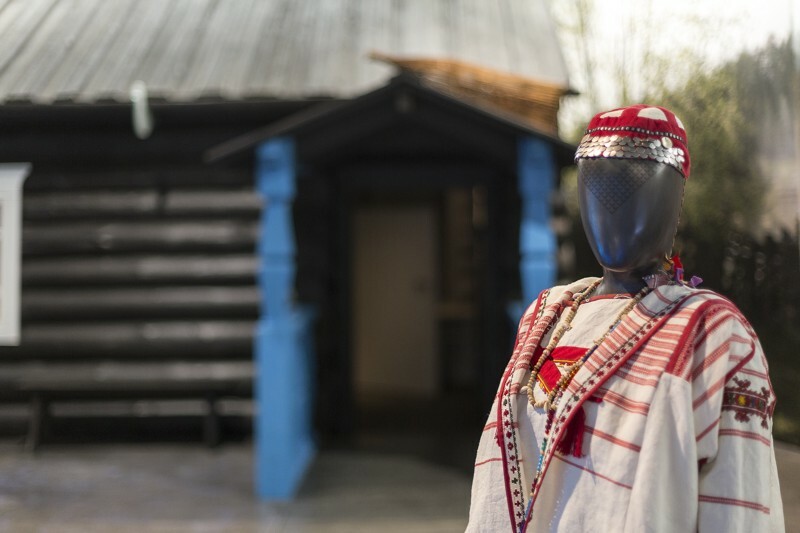 When planning the “Echo of the Urals”, the challenge proposed by the museum staff was to create “the best Finno-Ugric exhibition in the world”. 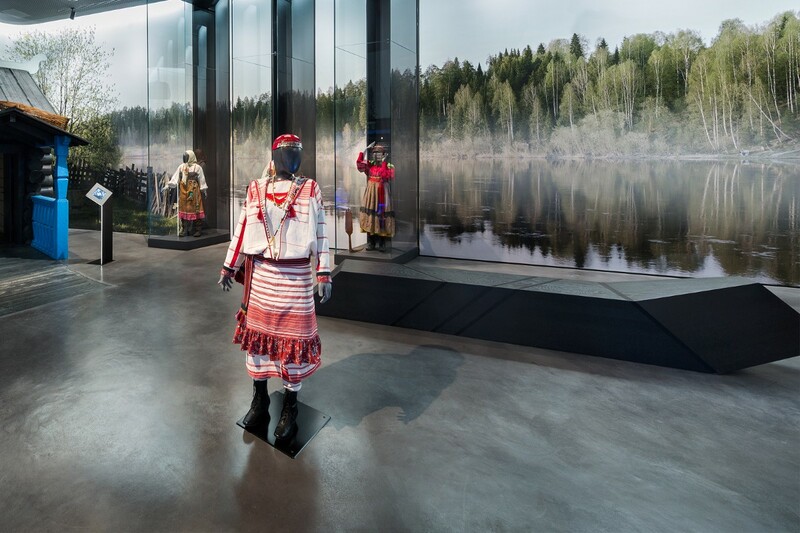 The story of the bigger and smaller indigenous Finno-Ugric nation groups connected through their related languages had been told before in smaller exhibitions in Finland and Hungary. 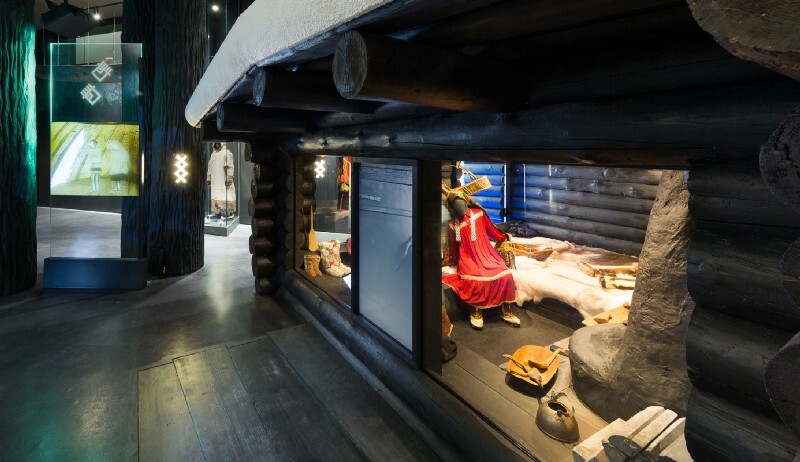 But never had it been part of a permanent exhibition of this scale and the story had never been told by the museum that holds one of the biggest Finno-Ugric collection in the world: the Estonian National Museum. 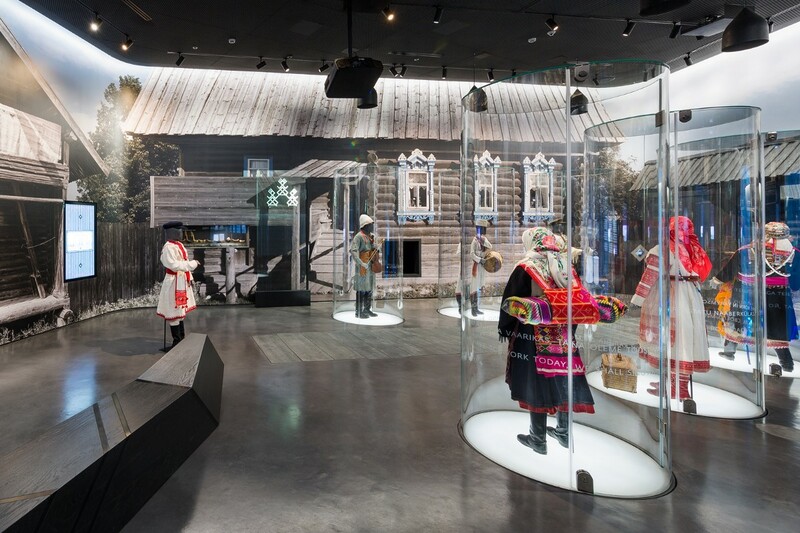 The Echo of the Urals exhibition tells the story of the Komis, Khanty, Mansi, Maris, Sámi, Karelians and Udmurts. The ones missing from this exhibition are Estonians — whom you can find upstairs in the museum’s other permanent exhibition — and Finns and Hungarians — both of whom have their own states and museums. 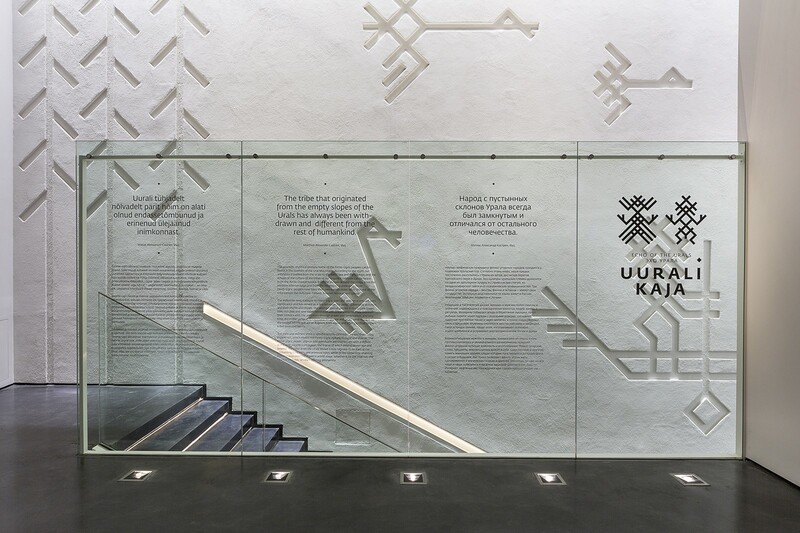 The design concept of the Echo of the Urals started from the nature of the museum’s rich Finno-Ugric collection. It is focussed on the daily objects and tools, collected in the middle of the 20th century. 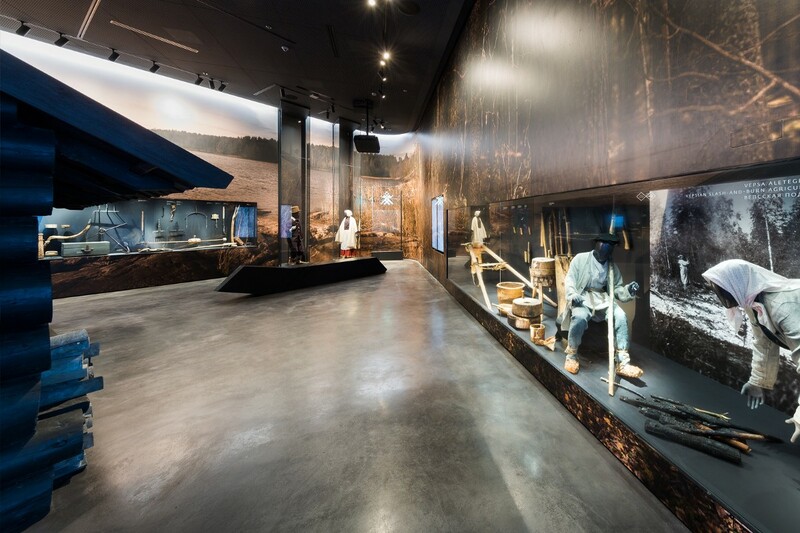 Rather than displaying rows of exhibits, the designers weaved the tools, clothing, jewellery, hunting ware, plates, pots and weapons into a larger story of the lives led in Finno-Ugric villages and homes. 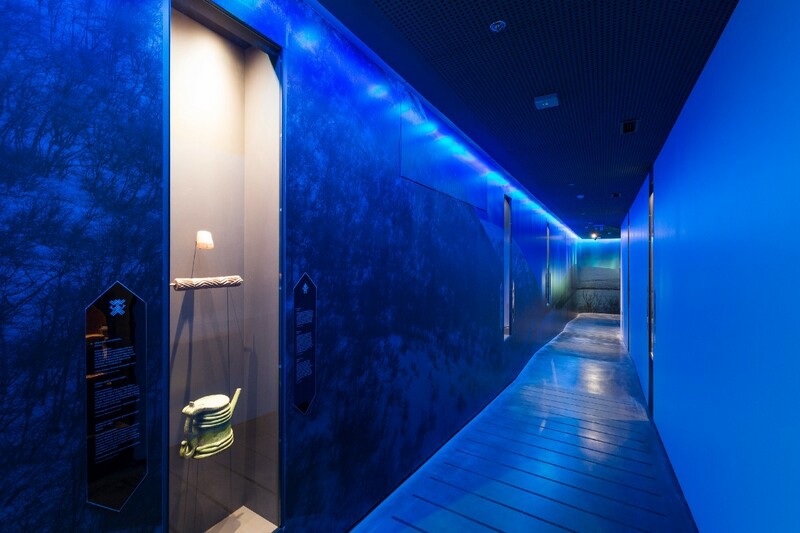 The original items are shown in context created by full-scale houses built up within the museum space, large photo murals, sound environment, fairytales told via animations — and sometimes even specially created scent. To give a better idea of how the daily life of the Komi, Mari, Udmurti, and other people would flow, the exhibition leads the visitor through four large exhibition halls inspired by nature’s cycles — a spring morning, a summer day, an autumn evening and a wintery night. Each hall looks into the lives of a few of the Finno-Ugric peoples. Another thematic thread running through the exhibition is about two ancient elements — a woman and a man —who are followed through the whole spectrum of human life: childhood, initiations, the wedding, work, daily life, death and mourning. The feminine and masculine theme runs through all of the exhibits and stories. This divide might seem odd in present day, but for the period covered by the exhibition the roles held by people — the tools used, clothes worn and even stories told — were much more defined by their gender. The entrance hall walls are covered with stucco and feature recessed graphic figures and symbols, inspired by ancient motives of petroglyphs. All symbols — featured throughout the exhibition — were designed from scratch and are unique to the exhibition. The design team took an ethnofuturistic approach to design. This meant ‘inhaling’ the ancient diverse cultural patterns with their graphics, stories and artefacts, and ‘exhaling’ a contemporary, yet inspired take on traditions. To make visitors see the bigger story behind everyday objects at display, much effort was put into designing an immersive environment. To carry the visitors seamlessly through the display, a river of light was designed, dividing and uniting the areas presenting the main ethnic groups. 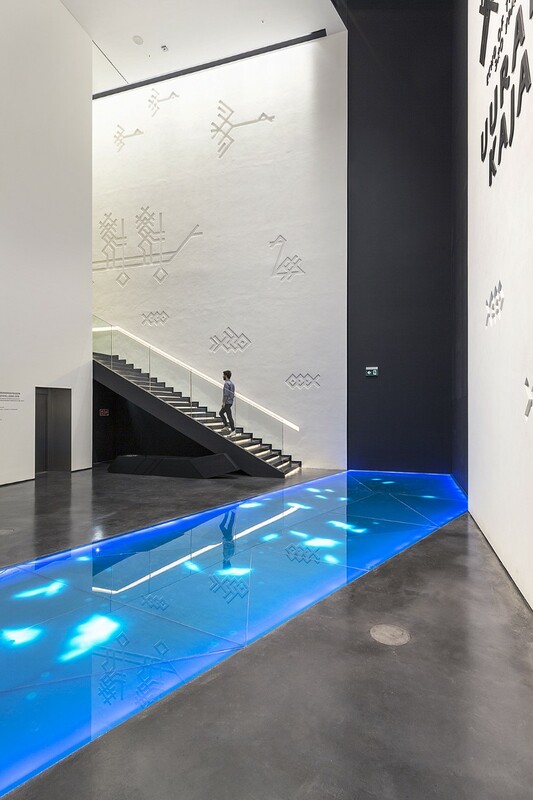 Animated fish swim along the LED screen river: once a visitor steps onto the bluish glowing river, the fish swim away startled; when people stand still, the curious fish return. 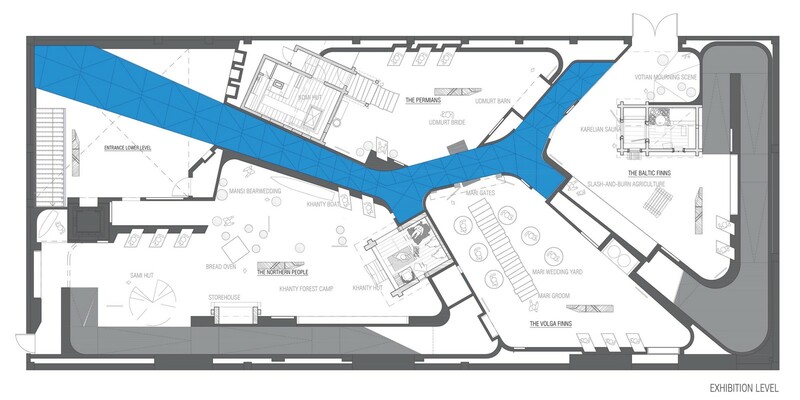 Sound solution mimics the river movement, splashing and gurgling like a real brook. 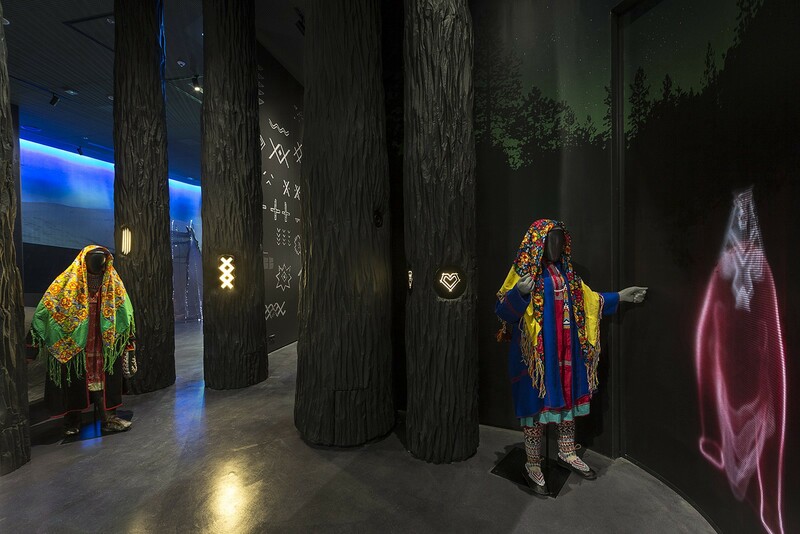 The exhibition opens with a large language tree displaying all the tiny language groups, their geographical locations and their most recent population statistics. The visitors can sit listen to how various words sound in all the different languages. 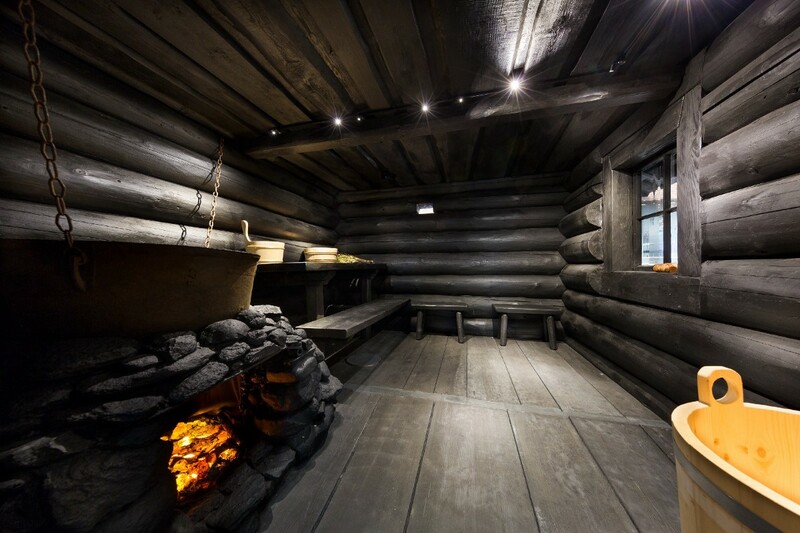 A full size Karelian sauna was erected, making it possible for the visitor to experience the practicalities and rituals of personal hygiene where running water and electricity are not available. The scent of a smoke sauna is clearly present and adds realism to the experience. 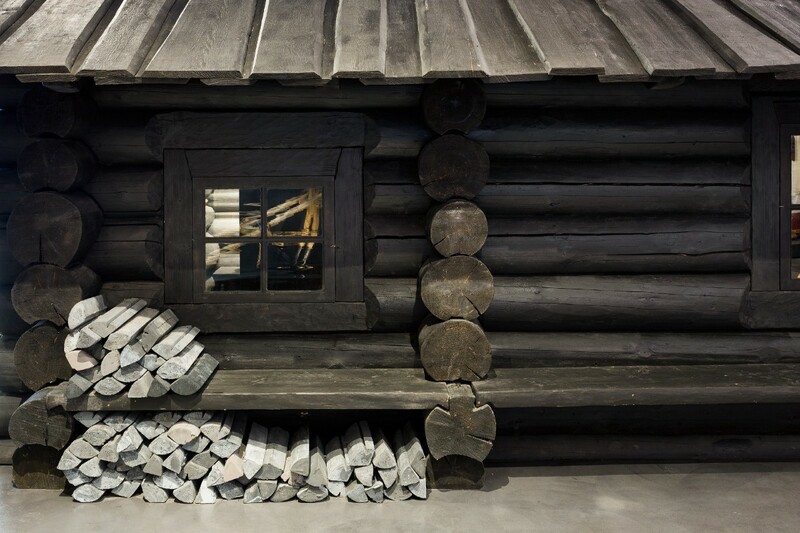 The wooden logs that are used to heat the sauna were cast from concrete and are so lifelike that most visitors feel the need to touch them to get proof of their artificiality. 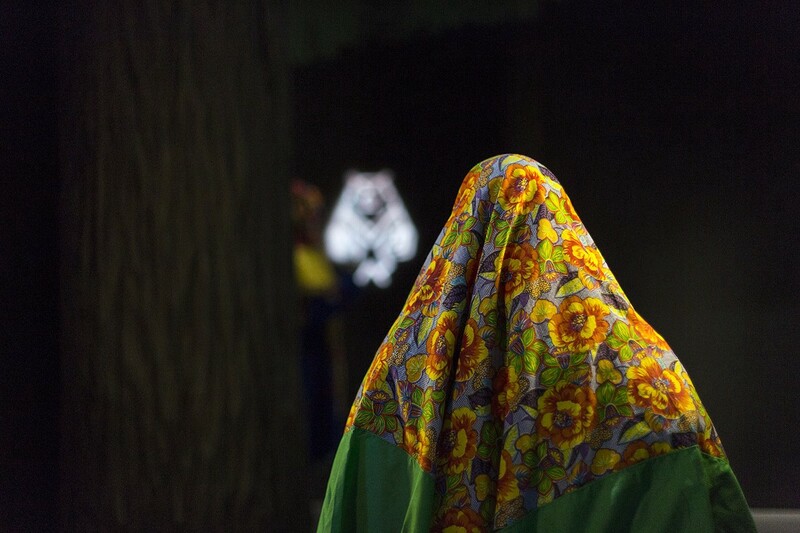 Throughout the display, ancient stories are told through contemporary means — a digital bear roars at the visitors when presented with a bride-to-be. An interactive Komi kitchen table allows the visitor to dive into the meals, feasts and recipes of the tiny nation group. However, any ethnographic material is shown in as untouched a manner as possible. The Sami hut gives the visitor a glimpse into the daily life intimacies of the Northern people inhabiting the ice-cold tundra. 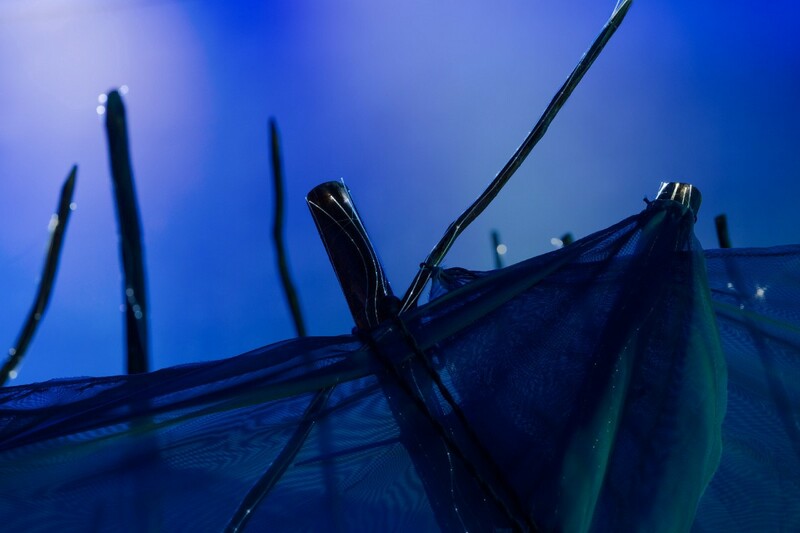 The light- and soundscape give an idea of what it might be like to stare at aurora borealis whilst only being protected from the elements by a thin tarp. 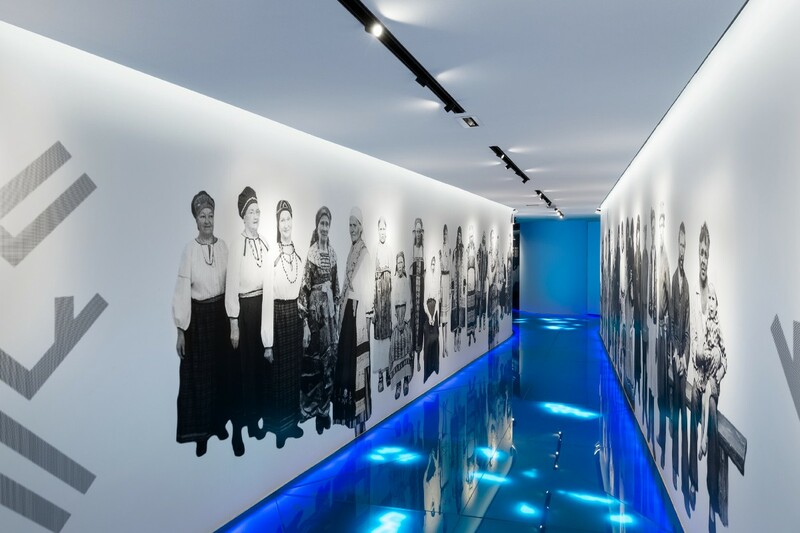 To bring exhibition halls to life and to show living conditions of the people portrayed, the walls of the four main exhibition spaces were covered with photo murals of the locations. Five separate expeditions were made to capture the nature or the built environment of the indigenous people. Each expedition tested the photographers and also their gear that was donated by Canon Overall. Not only did they have to handle extreme weather conditions with temperatures falling below -35C, but also landscapes that were impossible to pass with cars. Not to mention that it took around 30 minutes to capture one panorama, which added a remarkable complexity. Considering the size of the exhibition hall walls, a mosaic of 5–6 frames in height had to be photographed using robotic panoramic heads and afterwards stitched together (the final print-ready photo-files ranged between 120–200 GB in size) to create photorealistic backgrounds. The latter, together with the exhibits and the soundscape, are now working together in creating totally immersive spaces where it is quite easy to lose oneself. Altogether five more than 200 m2 photo murals were printed and glued to the walls, bringing the size of the prints to more than 1 000 square meters. This makes the area of the photo murals equal the one of the floor for this five hall spanning exhibition. The purpose of the panoramas was to create an emotional background for the visitor — to convey a sense of a spring morning (Permic hall), a summer noon (Volga hall), an autumnal evening (Baltic-Finnic hall) and a polar night (Nordic hall). The aim was to make the visitor forget that he is in the cellar of a huge museum, but rather in some distant space, in a distant time. 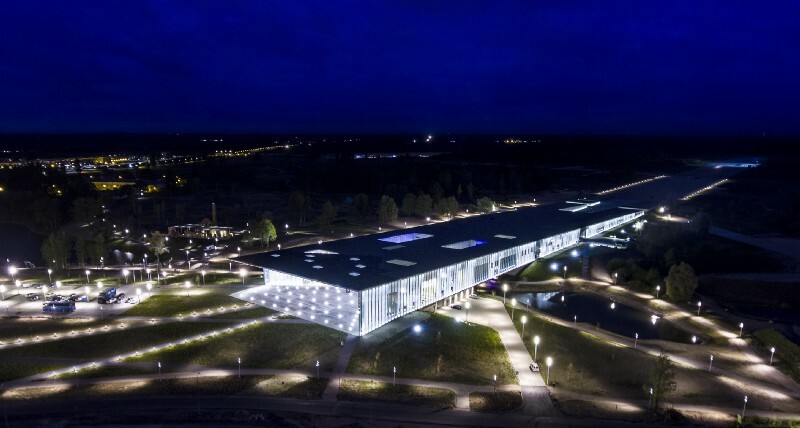 The visitors are greeted by a River of Light which acts as the central element in the design concept of the permanent Finno-Ugric exhibition. This motif represents a border between areas that present the main ethnic groups of the exhibit. As in life, the river borders and joins, divides and unites, synthesizes. The River of Light is a system of walkways that works as a guide and has parts of it branching off into various sections of the exhibition. The river is made up of glass panels and LED screens that are installed below them. The visitors are meant to walk on the river. Animated fish swim along the river and also react to the visitors’ steps. When a person steps on the glass panel, the fish are startled and swim away. When visitors stop and stand still, the curious fish soon return. Although their graphic animation style is minimalistic, their behaviour is modelled to be as similar to real fish as possible. To make the experience more realistic, a sound solution was added that mimics the river’s movement, making it splash and gurgle like a real brook. 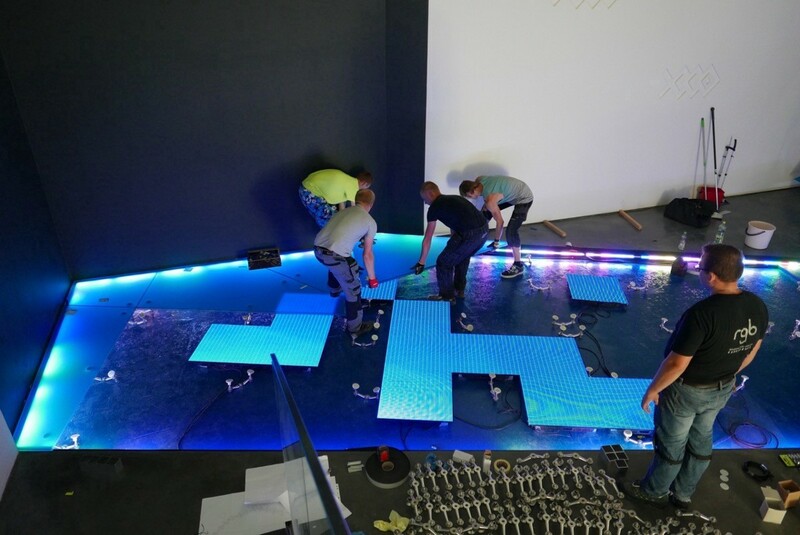 The multimedia solution includes 57 60x60 cm LED panels, various sensors and computers for presenting the movement of the animated fish, touch sensitive microphones for further motion detection, and 93 metres of LED light strips. The see-through floor consists of 120 triple-layered glass details that are all differently shaped. The Bear’s Wedding is an interactive scene in the Northern Peoples hall where the visitor can experience the Bear’s emotions. The visitors can feel what the Bear feels, test the Bear’s rage or love. When the Bear is enraged, his paw prints appear on the trees and his growls are heard as part of the background sound. The image of a raging bear also appears on the LED panels. 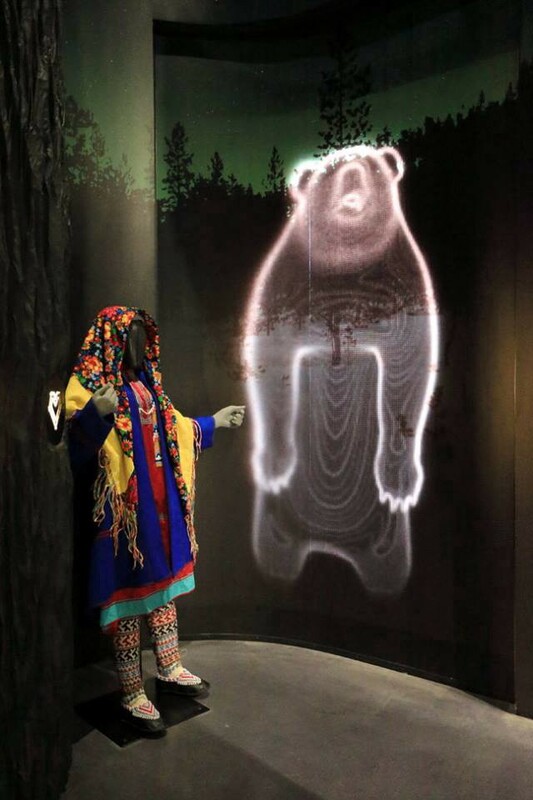 When the Bear is in a loving mood, the visitors see a visualisation of his heartbeat and hear the sound. The bear animation is a graphic solution made up of LED spots, showing visitors a larger than life bear. The solution uses touch sensitive icons on the trunk of a tree and curved LED panels that make up a wall. 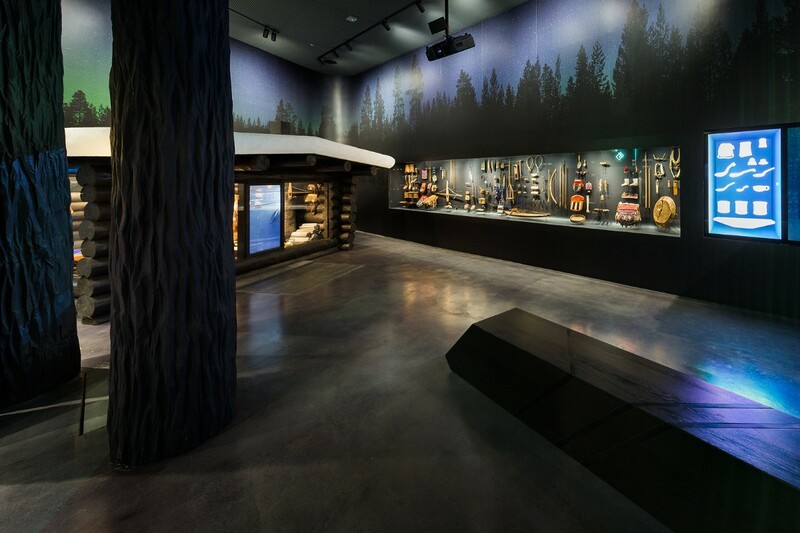 The ambiance is created by the lighting for the hall and by the speakers and the light effects inside the tree, shaped like the Bear’s paw. 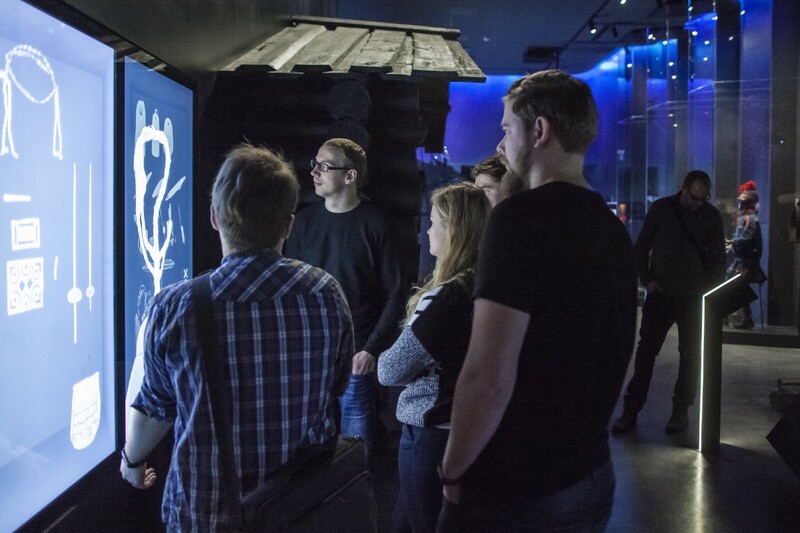 One of the most engaging and popular interactive exhibits is the Komi Table, featured in the Komi hut. 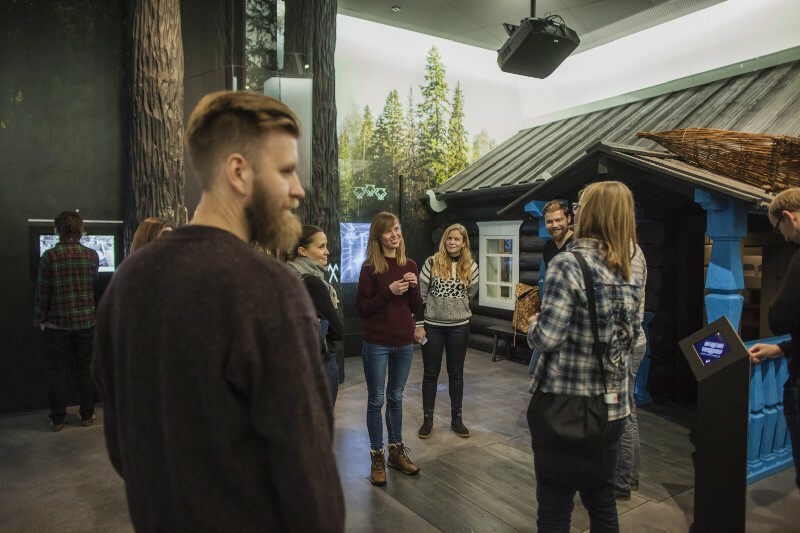 Exhibition visitors are invited to walk into the life-size hut. 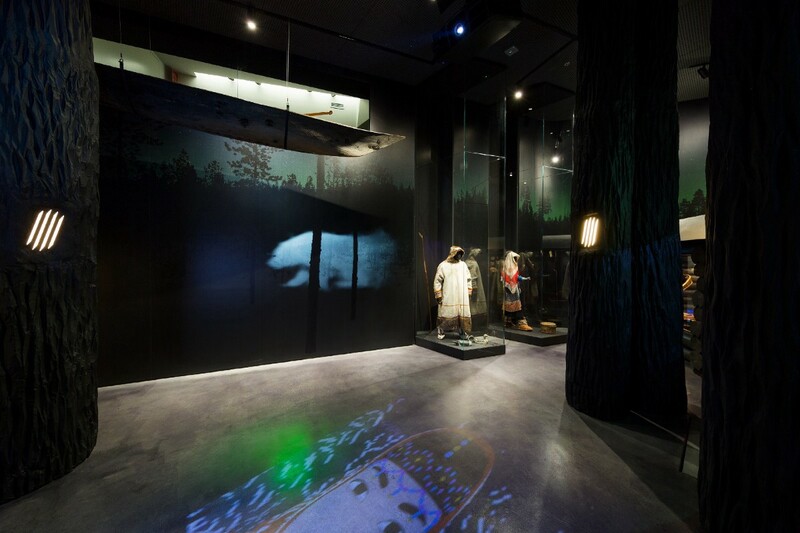 By touching the interactive surface of the table in the corner, they can learn about the ingredients, dishes and food-related customs of the indigenous Komi people. The table is a contemporary copy of a table that would be have been used in a similar Komi hut, making the interactive element a natural part of the exhibition world. While playing around with data, the visitor is surrounded by the atmospheric environment created by the exhibition designers: there’s life-size crackling fireplace behind them (a copy, using contemporary materials) and you can hear an unseen someone snoring on top of the fireplace. In a Komi hut, this is exactly where the sleeping area would have been located. 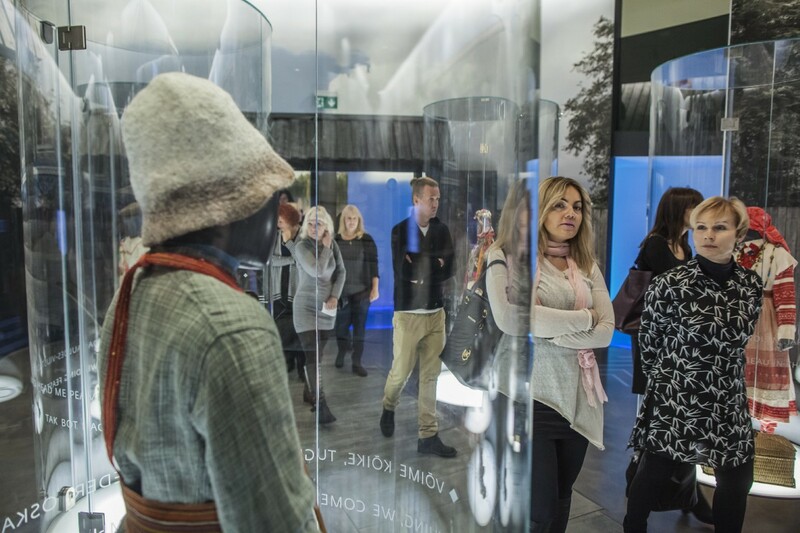 The exhibition also contains a sound installation that represents sounds of nature which correspond to different seasons featured in various exhibition halls. Estonian sound artist and designer Taavi Tulev was responsible for creating the sound installation that covers nearly 1000 square meters and uses 126 speakers to emit sound from 140 channels. According to the author, this is a space where the sound is in complete symbiosis with everything else you see and experience — the spatial sound makes the static parts of the exhibition come to life as well. Special attention is paid to detail: tiny sound surprises are scattered across the exhibition, catching the visitor unaware. 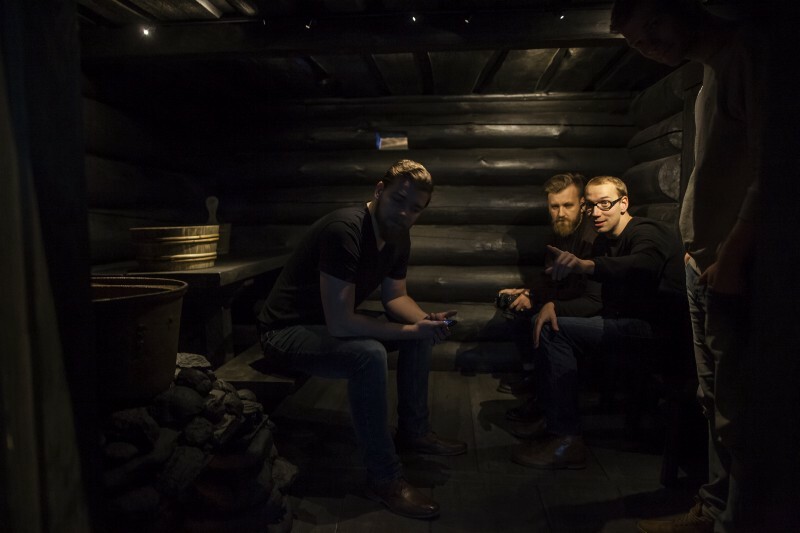 The audio experience created takes the visitor on a trip to the locations where tiny Finno-Ugric nations live. Moving through the space, the visitor is taken from a spring morning to a summer day, followed by an autumnal afternoon and a wintery night; each of the spaces uses seasonal sounds: migrating birds, the splashing of a stream, crackling fire, winter gales. “This is a space where sound is in complete symbiosis with everything else you see and experience — the spatial sound makes the static parts of the exhibition come to life as well. 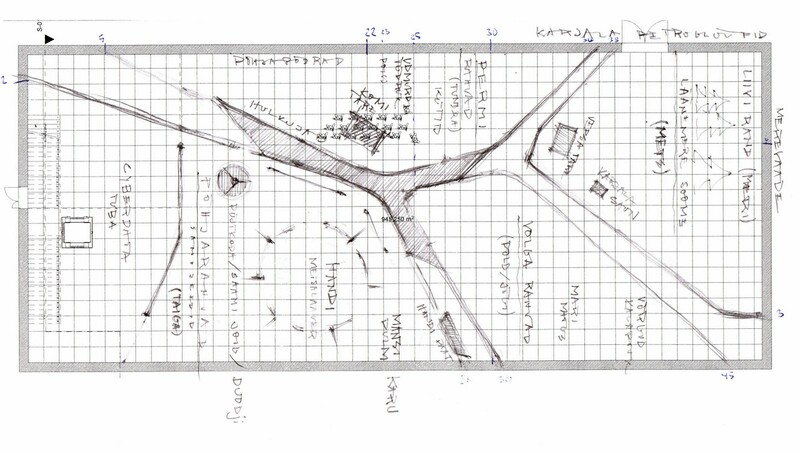 The result whisks the visitor away to another space and time, and the natural sound environment makes people forget they are in a museum among exhibits.” Taavi Tulev, designer of the soundscape. Tulev spent hours upon hours digging through his extensive archives of nature sound recordings to find the right sound bites for each display and room. When something particular was needed for the sound environment of the Finno-Ugric nations, he took to nature to capture completely new sounds. Advanced technological solutions to transmit sound are used, so the end result is more pleasing to the eye — there’s sound all over, but very few speakers in sight. This way, the environment also feels more natural. How people move in the exhibition space and how much time they like to spend investigating one exhibit or another, was also taken into account. The installation uses nine sensor triggered sound effect microphones and eight contact microphones to assess sound levels. 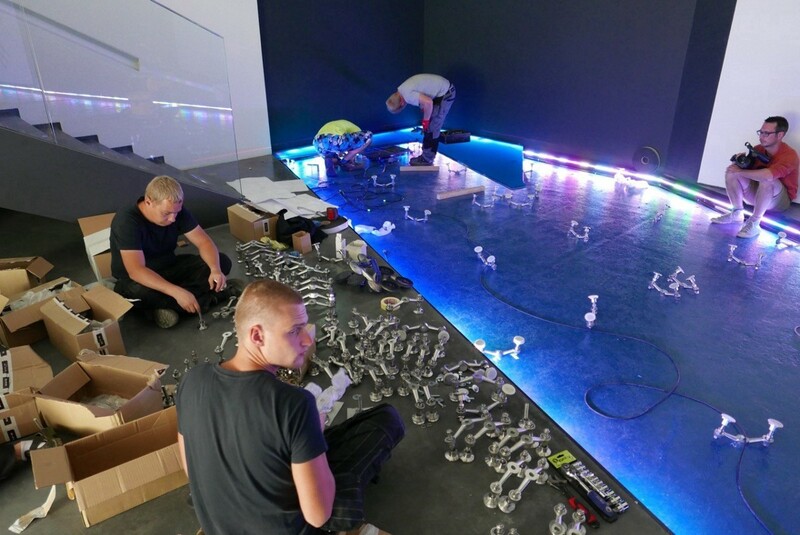 The technical solution for the installation is based on the central QSC Q-Sys Core 1100 device which controls all the transmitted sound, plays audio files, receives impulses from the exposition sensors and also communicates with the light management devices. For amplification, QSC CX amp models were used in a two-way connection with the central Q-Sys control device. For creating a general atmosphere, a total of 45 QSC AD-Ci52ST speakers got integrated into the ceilings. For the exhibit sounds and sound effects, QSC AD series, K Array, Monacor, RSF and Amina speakers were used, including 39 “invisible” Amina plaster-over speakers. 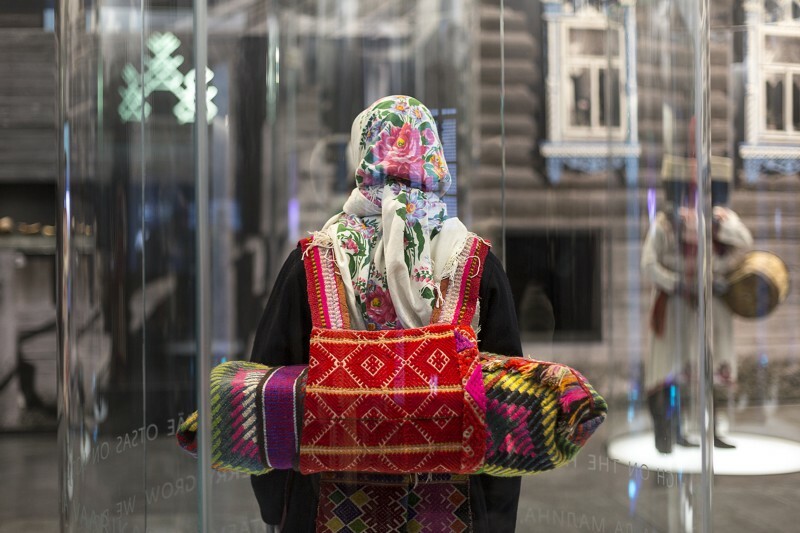 Eventually, it is for the visitors to decide if Echo of the Urals truly is the best Finno-Ugric exhibition in the world. What we do know for sure, is that the exhibitions in the new Museum building welcomed over 100.000 visitors in the first three months. The only way to make your own decision whether the exhibition meets its challenge is to visit the museum. And you are always welcome to let us know what you think! To visit the Estonian National Museum and the Echo of the Urals exhibition, please see the museum’s website for opening times and tickets.